Twenty-three-year-old Pepper Spicer is not living the dream. She ended her engagement at the last minute because fiance—a musician an soon-to-be reality TV star—wanted her to sacrifice her own career ambitions for his. Now she's stuck at home sharing a room with her little sister, trying to pay off massive debt for a wedding that didn't happen, and spending Friday nights Facebook-stalking everyone who has a better life. Her therapist father urses her to choose her career dreams and count her blessings by writing weekly thank-you notes, but gratitude is a tall order when she botches an important job interview and has to settle for writing an undercover dating web-zine column—the last thing in the world she wants to do. Still, as Pepper (byline:Indie Girl) chronicles her bizarre and hilarious blind dates, she gives her father's challenge a try and slowly finds herself leaving self-pity behind. Life takes a major upswing as Pepper's column hits the big time and she tastes the exhilarating thrill of success. But there's one tiny problem: the intensely hot man she's falling for is having issues with her job (again). Will Pepper trade her personal ambition for another chance at love? If you are looking for a fun, clean modern romance with a good message and real characters, then I highly recommend this book. This book is a really cute, clean, and fun book! I really enjoyed it! 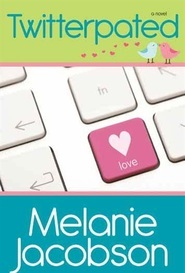 Melanie Jacobson is a wonderful author! I have listened to the audio of all of Melanie’s audio books and would love to have more of her books available in audio in the future!! Loved this book! It was lots of fun! Love love this book! It’s the first book I read from Melanie and it made me read her other books. I’ve read it a couple of times. That’s how much I like this book. Great story, GREAT WRITING, great chemistry between all the characters. Love how she intertwined the message of gratitude without feeling preached to are hit over the head with it. Makes me want to write my own thankful notes to others. LOVED IT. I listened to the audio book, so that may have colored my opinion of the book, but I was disappointed in a couple of things. First, Ginger is so annoying at the beginning of the book it was hard to empathize with her, and near the end it was hard to believe that Jordan could be as kind as he was. He really didn’t seem that awful in the first place. (Just clearly goal-driven and ambitious which drove him, not his relationship with Ginger). I mean- why did he even date her for 4 years?! Second, I enjoyed her family relationships, but if she’s going to be a Mormon character why wasn’t she behaving like one? Never once did she pray, or ask for guidance from God. She gained her self worth from her relationships which is opposite of what the gospel teaches. She seemed to only have a social agenda with church and was extraordinarily worldly. If this was a Christian romance, or just a regular “clean” romance these things wouldn’t have bothered me, but I was sad to see this as an example of a young Mormon woman. Humorous, clever and worth the ride! I am not usually a 4 star person for a light book, but the book was cleverly written. Reading about Pepper (MC) try to pull her life together after a failed engagement, and living with her family, with the often crazy situations involved with family life was a fun ride! I say ride, because from chapter to chapter, between her various jobs, the people she meets, job interviews, the ideas spinning in her head, and the things she is doing for work, her home life, etc...It makes for a surprising, cleverly romantic read. 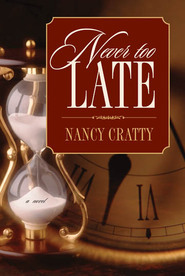 Clean novel, LDS setting, but other than some mild references to attending church, would appeal to most people who like a clean romantic story with a quirky protagonist. Her various and sundry internet dates, columns and various other situations in her family make for a clever, and witty read! Being in her head as she weighs out various situations and the people in her life, and trying to mesh her day to day life with what she dreams could be there for her, and her final solution along with the Thank you notes, ended on a beautiful high! This was my second MJ book, and I know I will be reading more of her books in the future. 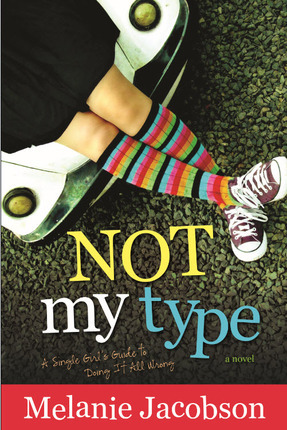 Her mix of humor, real characters, and just enough romantic tension make for a wonderful read! Her setting, in Salt Lake City, with an LDS single adult background, and in the midst of family life and life events, would be enjoyed by anyone with her witty descriptions and characterizations. Portraying the efforts of Pepper to get her life on the right track, out of her romantic woe is me funk after her broken engagement a week before the wedding, a dead end job, and into her dream journalism job, back into the dating scene and a real relationship was funny and engaging. Her journey as she struggles to pay off a debt, and regain her emotional momentum is funny, and a great read! You will feel "pepped" up after reading Pepper's journey. One of my favorite lines, albeit corny was when Tanner says to Pepper on a trampoline date, "I guess I should have warned you that I meant to knock you off your feet." Having read "365 Thank yous" by John Kralik, the thank you notes that her father assigned her to write that were part of each chapter, also tweaked my interest! So glad her note to Tanner didn't doom their relationship! The lead up to their first kiss was one of the best I have read..Jacobson crafts the story so she gets all the little moments that build to the romantic tension that we all crave...One of my top first kiss scenes of all time...The feelings are there, but the tension before the kiss was what makes it fun! Genuine characters, poking fun at the other dates that Pepper goes on for her column, her funny descriptions of events, her family life, made for a fun read! 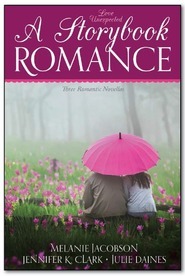 Laughs, romance, and fun! Enjoy the ride! Fun, clever, funny, and a great read! This was my second MJ book, and I know I will be reading more of her books in the future. 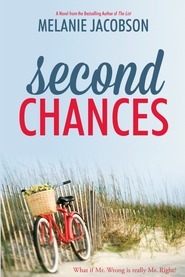 Her mix of humor, real characters, and just enough romantic tension make for a wonderful read! Her setting, in Salt Lake City, with an LDS single adult background, and in the midst of family life and life events, would be enjoyed by anyone with her witty descriptions and characterizations. Portraying the efforts of Pepper to get her life on the right track, out of her romantic "woe is me" funk after her broken engagement a week before the wedding, a dead end job, and into her dream journalism job, back into the dating scene and a real relationship was funny and engaging. Her journey as she struggles to pay off a debt, and regain her emotional momentum is funny, and a great read! You will feel "pepped" up after reading Pepper's journey. One of my favorite lines, albeit corny was when Tanner says to Pepper on a trampoline date, "I guess I should have warned you that I meant to knock you off your feet." Having read "365 Thank yous" by John Kralik, the thank you notes that her father assigned her to write that were part of each chapter, also tweaked my interest! So glad her note to Tanner didn't doom their relationship! The lead up to their first kiss was one of the best I have read..Jacobson crafts the story so she gets all the little moments that build to the romantic tension that we all crave...One of my top first kiss scenes of all time...The feelings are there, but the nuances and tension before the kiss was what makes it fun! I would highly recommend this book. It was a perfect balance of a real life situation mixed with a hint of imagination. It grips you from the very first page; once you start you will not be able to put it down. It leads you through a constant Journey of a real life situation that is relatable to all ages and all genders. As well, the ending is not a letdown, with an interesting twist at the end. While one may think girls can only relate to this book, I think that boys will also be entertained by this hilarious unfortunate story. The characters are spicy and have depth. Also, there are just lines that will literally make you laugh out loud. That is not the only thing that will make you laugh, you will laugh from the crazy situations to the crazy names of the characters. Their names are Pepper, Rosemary, Coriander Spicer; the author definitely has a unique since of humor. Her use of imagery will make you feel like you are right alongside the characters. This book is a book everyone should read. It will entertain and definitely not disappoint. This wasn't my favorite of hers, but still great! Funny, intelligent, lots of heart and a great message (your dreams are just as worth living as anyone else's- don't put them aside!). My copy is making the rounds to my friends and family. I really recommend this to people who don't 'like' LDS fiction. Melanie Jacobson has a way of creating characters so real that you forget you're reading a work of fiction. 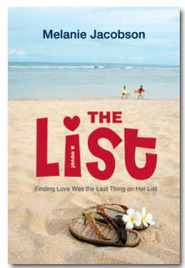 She did it with her debut novel, The List, and has stayed consistent in her follow up, Not My Type. The story is fun, the dialogue catchy, and the end result is a book that you just can't put down until you finish the last page. Laugh out loud funny and true! I loved this book! It was a great read! It kept me laughing and I caught myself trying to guess what would happen and was almost always wrong :D I love a book that keeps me interested and makes me laugh! AND I want to be just like Pepper! Love it! So much fun. I loved this! I really couldn't put it down, and the further along I got into it the more I had to keep going. This book had me laughing out loud! Seriously! My kids were asking me what I was laughing about. I got a kick out of her online-dates as much as everything else. But when she finally finds a "love interest"... oh my! I think I may be in love with him to. I don't read a lot of "chick lit", but I've seen my share of romantic comedies, and "Not My Type" ranks up there with the best of them. 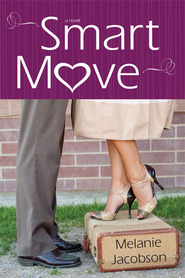 The witty, laugh-out-loud dialogue combined with the hilarious life-insights and ingenious metaphors, put this this novel in the "Crazy, Stupid Love" category rather than the "Wedding Planner" class. The characters, while not always immediately loveable, are nonetheless immediately engaging. And I think that's one of the main themes of the novel: first impressions are rarely true. Even Pepper's first dates, who could have easily come off as cartoonish from the pen of a less talented author, exhibit a glimpse of depth before they leave the stage. I got the audio book version, and literally listened to it all day from the beginning of work until it was time to put the kids down to bed (they all got to bed a little late that night). The novel is addicting, so make sure you carve out a good chunk of time before you start reading because you might find yourself staying up until 4 in the morning, and then cursing the author for your lost sleep. Note for the audio book: the narrator is excellent. She is able to make consistent distinctions between characters' dialogue without calling attention to herself. Her timing in delivering some of the one liners is impecable. I listen to a lot of audio books, and I've stop listening to certains books that I really, really wanted to hear because of a bad narrator. This narrator is great.